Dr. Stefanos Ioannou obtained his PhD in Economics from the University of Leeds in 2016. Prior to his doctoral studies he completed an MPhil in Economics at the University of Athens (2012) and an MSc in Finance at Newcastle University (2009). His research interests include fiscal and monetary policy, financial macroeconomics, financial geography, political economy, and economic pedagogy. He has an extensive experience in applied econometrics, particularly in time series and panel data methods. He has also engaged in economic modelling, with particular experience in stock flow consistent macroeconomic models. Stefanos has worked as a lecturer in Economics (University College Cork, 2016- 2017), teaching advanced macroeconomics and finance. 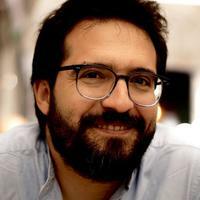 He is currently involved in the research project 'Cities in Global Financial Networks: Finance and Development in the 21st Century' at the University of Oxford.